Legend has it Prince recorded enough music to release one album a year for the rest of the century. Supposedly thousands of unreleased Prince songs exist in "the vault," an actual walk-in safe complete with a combination lock built into its door. The vault is in the basement of Prince's Paisley Park estate. About 70% of the music Prince produced was never released, according to an interview Prince collaborator Brent Fischer gave to The Guardian and the BBC last year. That's saying a lot for a musician who released 39 studio albums, 4 live albums, 13 EPs and 104 singles over the past four decades. Prince sold 100 million albums throughout his career, but Prince's producers and friends have said some of his best music is sitting dormant in the vault. If it were to be opened, and the music packaged and sold posthumously, Prince's estate could sell tens of millions of albums for potentially hundreds of millions of dollars. But it's not clear that Prince ever wanted that music released. Prince's former manager Alan Leeds told The Guardian last year that Prince said he one day planned on burning everything in the vault. In 2012, Prince posted a YouTube video in which he promised to release "every good thing in the vault" in 2013 -- but that never happened. Bootlegged copies of vault music have occasionally surfaced during Prince's career. Prince's friends have noted that he listened to vault music in his car and gave the vault's combination to many people. But Prince was notoriously protective of his brand and music. In a nasty dispute with his original label, Warner Bros., in the mid-1990s, Prince changed his name to an unpronounceable symbol and painted the word "slave" on his face. He prevented his music from being released on Spotify, and it's hard to come by on YouTube as well. Notably, Prince worked at a torrid pace in the late '90s in an effort to quickly release enough albums to end his Warner Bros. contract. He was criticized by fans for producing some of his worst work during that time. His final Warner Bros. album was released in 1999 -- called "The Vault: Old friends 4 Sale." So it's anyone's guess what Prince would have wanted to do with the vault music. 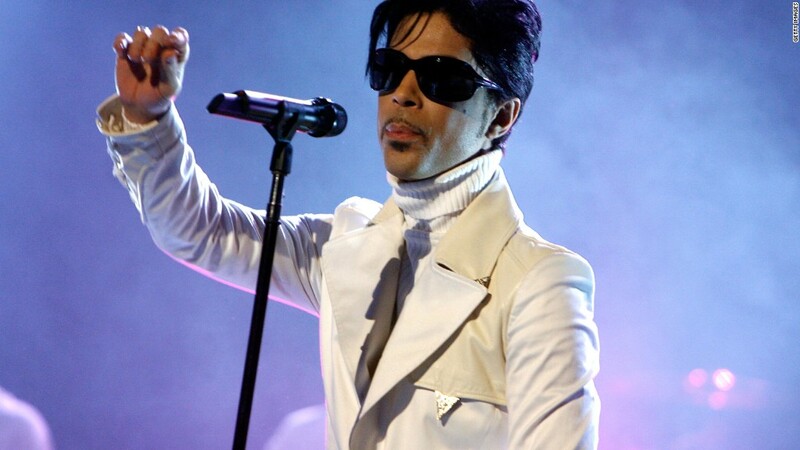 It's also unclear who will inherit Prince's estate and what will become of the vault. Many artists have released albums posthumously, including Notorious B.I.G., Kurt Cobain, Marvin Gaye, Janis Joplin, John Lennon and Elliot Smith. David Bowie even prepared to release albums posthumously, and Frank Zappa's estate has continued to release albums after his 1993 death, releasing his final completed album in June 2015. But not all posthumous record releases go smoothly. Tupac's estate feuded with his record label, Death Row, for years. Tupac had no will, and his mother was eventually deemed his heir. She fought bitterly with Death Row over Tupac's rights, eventually forming her own label to release five posthumous albums. Prince said he wrote music to keep himself alive. He could live on through his music for decades. But if the vault stays sealed, his fans will have to remember him from the thousand or so songs that were released during his lifetime.